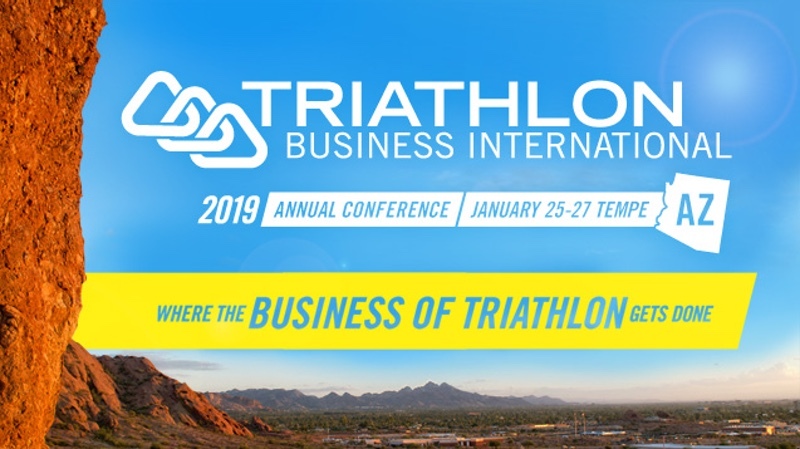 Triathlon Business International (TBI), the industry organization dedicated to promoting the business and sport of triathlon, has announced that registration is now open for its 9th annual Triathlon Business Conference. Taking place on January 25-27, 2019, at the Mission Palms Resort in Tempe, Arizona, the conference opens on Friday at noon and ends on Sunday at noon with ‘plenty of networking, workshops and discussion in between’. TBI notes that ‘this is the conference where the business of triathlon gets done’. Attendees represent swim-bike-run retailers and equipment manufacturers, race directors, race service providers, coaches and others who have a stake in the health and growth of the sport of triathlon. The first 25 people to register for the 2019 conference will receive one of the prizes listed on the TBI conference webpage. The first person to register gets first pick; the second person, second pick; and so on until all the prizes have been distributed. As in 2018, the conference will focus on three tracks of education: coaches/coaching; retailers/manufacturers; and race directors/race services. Each of these tracks is led by an industry professional who has a committee creating content and developing panels to address the trending issues to be discussed in the workshops. Jesse Kopelnicki, QT2 Systems; Trent Nix, TriShop; and Mark Walter, Sun Multisport Events are the committee chairs. Keynote speakers and conference schedules will be announced over the coming weeks. Non-members who wish to join TBI prior to registering for the conference, can do so by signing up online. TBI membership will save US$100 on conference registration fees as well as other membership benefits. Room reservations at the Tempe Mission Palms are now available for the conference. TBI has a room block for the conference dates at a US$189/night rate, which is a discounted weekend rate. This room block is limited and attendees are encouraged to reserve their rooms as soon as possible to avoid missing the opportunity. Tempe is a vibrant college town in the heart of metro Phoenix. The TBI conference is seen as a perfect fit for Tempe, a city that hosts IRONMAN 70.3 Arizona and IRONMAN Arizona annually. For two straight years (2017, 2018), Tempe is hosting the Triathlon Collegiate National Championship, and ASU is home to the two-time reigning national NCAA triathlon champions. Triathlon Business International is a global organization dedicated to promoting the sport and business of triathlon. TBI was founded by a coalition of industry leaders who ‘saw the need for the triathlon business community to come together in an organization dedicated to promoting the sport and the business of triathlon’.